Carleton Place is a vibrant, heritage-rich community located 30 minutes west of Ottawa (Highway 417 west to Highway 7 exit). The community‘s roots were planted by early settlers who emigrated from Ireland and Scotland to establish new lives. By employing their skills and trades, and using locally available materials, Carleton Place grew out of the rocky soil of Lanark County. Over the years, the hardy early community builders created beautiful stone churches, a stunning town hall, stately homes and commercial buildings. The passion and desire to construct these beautiful buildings remain an enduring testament to the tradesmen and architects of the time. Carleton Place treasures its' history, and the people who shaped the community. The pages contained in this website tell the story of a comunity built on the banks of the Mississippi River, the hardy people who setttled, and the moments in time that shaped the community. Please enjoy our website and if you have any suggestions of stories to be added to this website, please contact us through through the " CONTACT US" section of this website. 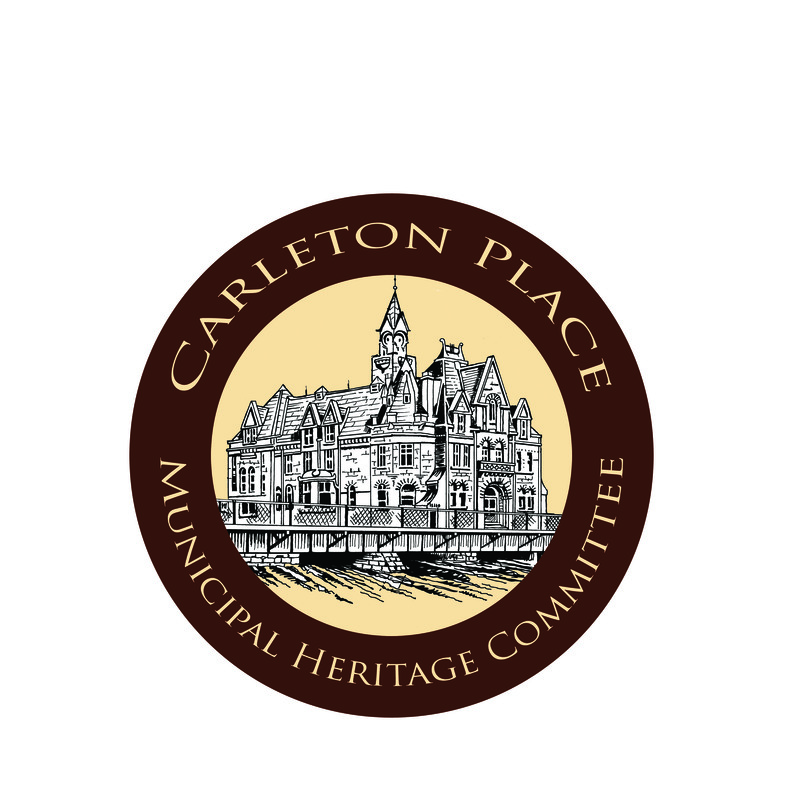 This Website is sponsored and produced by the Municipal Heritage Commitee of the Town of Carleton Place. All content cannot reproduced or copied without permission of the commitee. 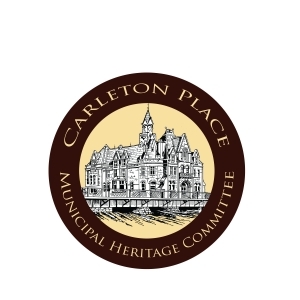 Any stories or articles reproduced with permission in this website are the property of the writer, and the opinions expressed or applied are that of the author and NOT the Town of Carleton Place or members of the Heritage Commitee. The success of any community based heritage website is the people who contribute through research, pictures, and the written word. The following people/organizations have provided material for this website. The Heritage Committee is greatful for the support and thank everyone for the support. Support your local community heritage website - Submit vintage pictures or stories through the "Contact Us" link or email details so we can pick up submissions. What is Carleton Place's official tree ?